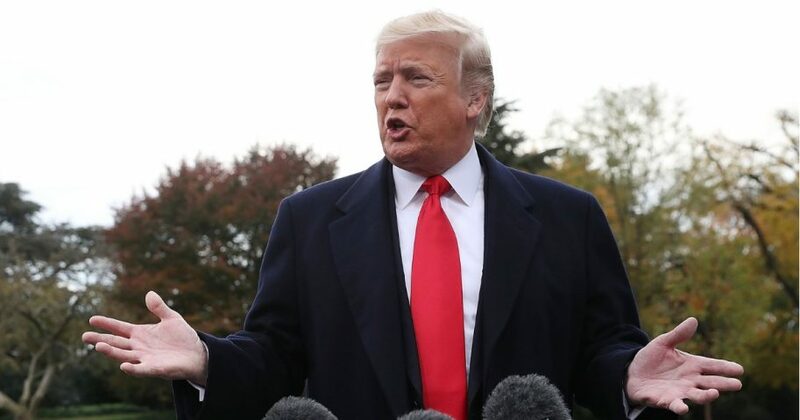 Twelve migrants traveling as part of a caravan of thousands heading north toward the United States from their home country of Honduras are plaintiffs in a lawsuit filed Thursday against President Donald Trump and other agencies and officials. The migrants claim the Trump administration is violating their right to due process under the Fifth Amendment to the U.S. Constitution. As Fox News reported, the lawsuit — filed in U.S. District Court in D.C. — was brought by Nexus Derechos Humanos Attorneys Inc., an arm of Nexus Services Inc. focused on human rights. The 12 Honduran plaintiffs cite immigration policies and proposals in framing the Trump administration’s position on the migrant caravan as unconstitutional. The migrants are seeking asylum in the United States. “Federal law enables migrants to apply for asylum in the United States,” Nexus Services President Mike Donovan said. The Fifth Amendment’s application to asylum seekers has been upheld in the courts, including the 1993 Reno v. Flores decision written by then-Justice Antonin Scalia. An agreement that stemmed from that ruling was also a central focus in the lawsuit filed on behalf of the dozen migrants from Honduras. Should the thousands of migrants in the caravan be allowed to enter the United States while their asylum applications are processed? The Flores agreement limited the amount of time children could be separated from a guardian during an immigration hearing to 20 days. Earlier this year, the U.S. Department of Justice sought to amend that settlement to allow children and parents to be held together in facilities for longer than the 20-day maximum. “President Trump continues to abuse the law, including constitutional rights, to deter Central Americans from exercising their lawful right to seek asylum in the United States, and the fact that innocent children are involved matters none to President Trump,” the lawsuit states. It goes on to allege that Trump’s proposal to “put these very children in tents” is a violation of the Flores agreement that minors be housed in “safe and sanitary” facilities. Making their central case, the plaintiffs argued that Trump is overstepping his authority in asserting that asylum seekers will be denied entry and the opportunity to make their case. “The legal problem with Trump’s plan to stop caravan persons from entering this country is that Plaintiffs are seeking asylum, and Trump simply cannot stop them from legally doing so by using military, or anyone,” the lawsuit states.